Kent County Public Library is delighted to announce an evening with acclaimed novelist Roxana Robinson. On Friday, May 19th, meet the author during a catered reception and book signing starting at 5:30. Due to limited seating, tickets are required to attend Ms. Robinson’s talk at 6:45. Tickets are FREE OF CHARGE and available on a first come, first served basis. To reserve a ticket, please call 410.778.3636. Roxana Robinson, whose writing is known for explorations of the complexity of familiar bonds, is the author of nine books: five novels, including Cost; three collections of short stories; and the biography Georgia O’Keeffe: A Life. Her work has appeared in The New Yorker, The Atlantic, Harper’s Magazine, The New York Times, The Washington Post, BookForum, Best American Short Stories, Tin House and elsewhere. She teaches in the Hunter MFA Program and divides her time between New York, Connecticut, and Maine. 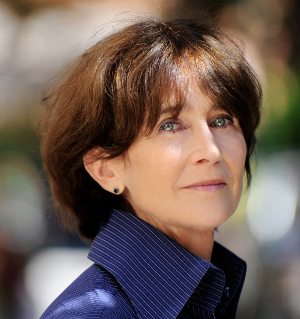 She has received fellowships from the NEA and the Guggenheim Foundation and is the President of the Authors Guild. This event is generously sponsored by the Friends of the Kent County Public Library.